In "Part 1" of this series, I elaborated on what kind of video equipment I have and made a recommendation for a video camera suitable for street evangelism use. In "Part 2," I will discuss two digital voice recorders I use in my evangelism efforts. When I served as a field training officer for the Los Angeles County Sheriff's Department, I required all of my trainees to carry a voice recorder. "Make sure your gun is clean, loaded, and ready to go. And make sure you have fresh tape (back in the days before digital media) and batteries in your voice recorder." I told every trainee. I personally know law enforcement professionals whose careers were literally saved because they had a voice recording of an incident or conversation with a person. On more than one occasion, I avoided possible discipline from false allegations because I had a voice recording of my contact with a person. Interviews with witnesses and confessions from suspects captured in a voice recording was, at times, the difference between winning and losing a case. Having a voice recorder is as essential when engaged in street evangelism as it was for me when I worked the streets as a deputy sheriff. Whether on a college campus, a street corner, in front of an abortion clinic, or at a train station, I try to always have a voice recorder (sometimes two) with me. Before I continue, it is important to note that prior to recording conversations in public places, check the laws in your state (or country) regarding the recording of conversations. Many states, like my state (California), have what is commonly referred to as a "one party consent law" for the recording of conversations in a public place. By statute in most states, "a public place," for the purpose of making a voice recording, is any place where a person has no expectation of privacy (i.e. coffee shops, stores, malls, sidewalks, parks, etc.). Places like inside a person's car or home, or in a closed room, are seen as places where people have an expectation of privacy. A good rule of thumb is that any place where people congregate, where an uninvolved (or uninvited) third party can overhear a conversation or can approach and listen to a conversation, is a place where a person likely has no expectation of privacy. A "one party consent law," in most cases, requires that only one person involved in a conversation, when and where there is no expectation of privacy, needs to be aware that a recording is being made. And the only person aware that need be aware a recording is being made can be the person making the recording. In circumstances that fall within the guidelines of a "one party consent law," the person making the recording is not obligated to tell the other person (or people) involved in the conversation that a recording is being made. Again, it is imperative that you check the laws in your state (or country) regarding the recording of conversations. I've used several different voice recorders over the years. One that I found very reliable, and continued to work great after it was run over by a car in Norway, is the Olympus DM-620. This sturdy unit produces great sound quality and has a nice internal microphone. Today, I use both a high-end and a low-end digital recorder. 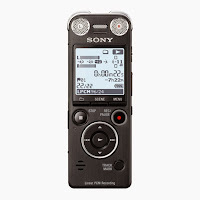 On the high end ($210-$249), I use the Sony ICD-SX1000. 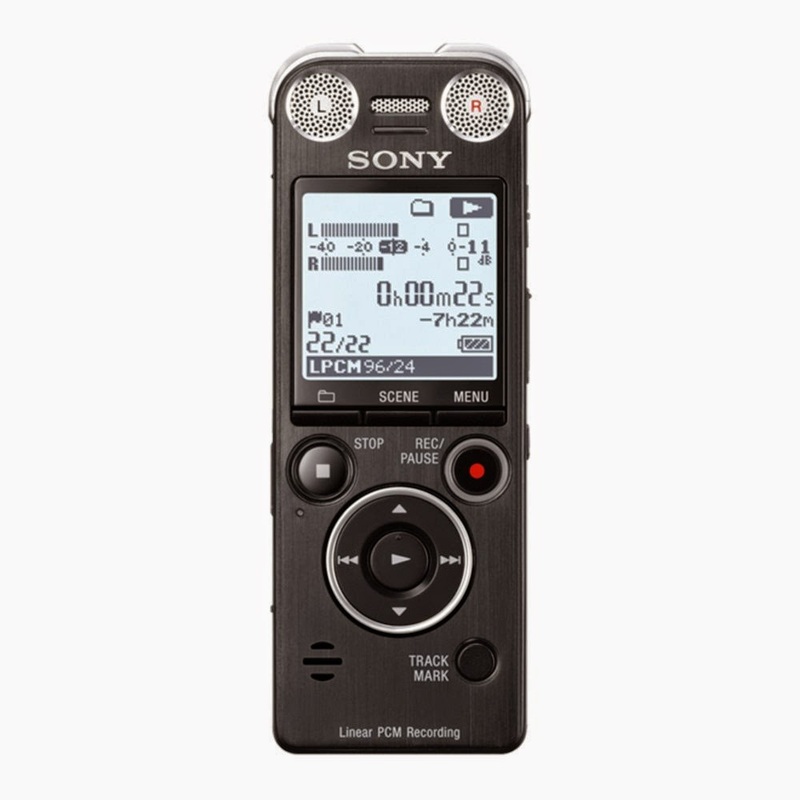 This is a professional-grade digital recorder, with superior recording capability and sound quality. On the lower end ($39-$49), I use the SanDisk Sansa Clip Zip. The newer models have more bells and whistles than the model I have. For an inexpensive and small unit, it produces surprisingly good sound. This little unit is excellent for one-to-one conversations when you don't want anyone to know you are recording. It is also suitable for open-air preaching applications. In "Part 3" of this series, we'll take a look at amplification systems.